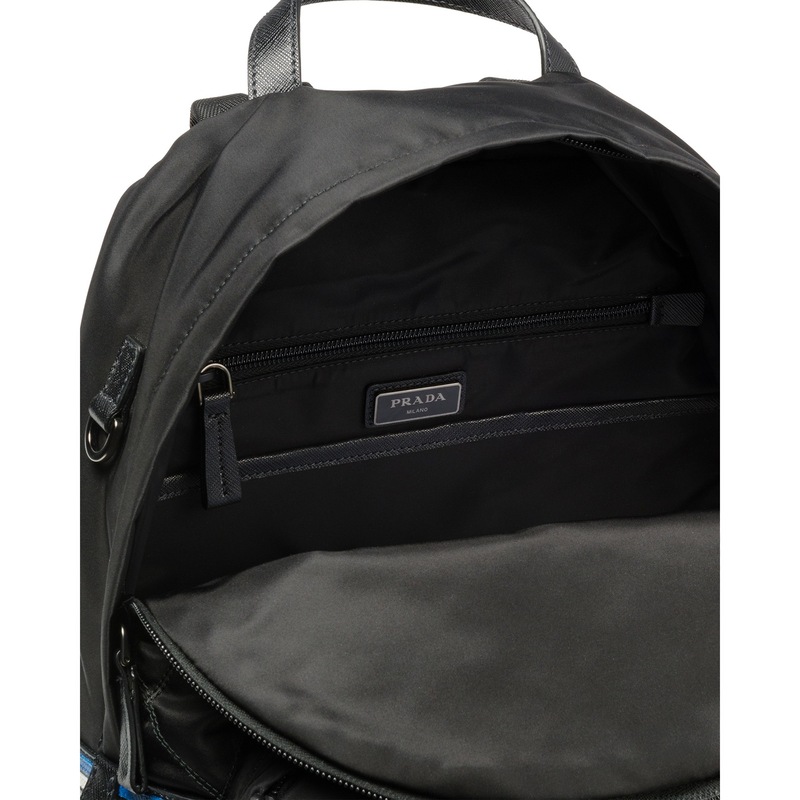 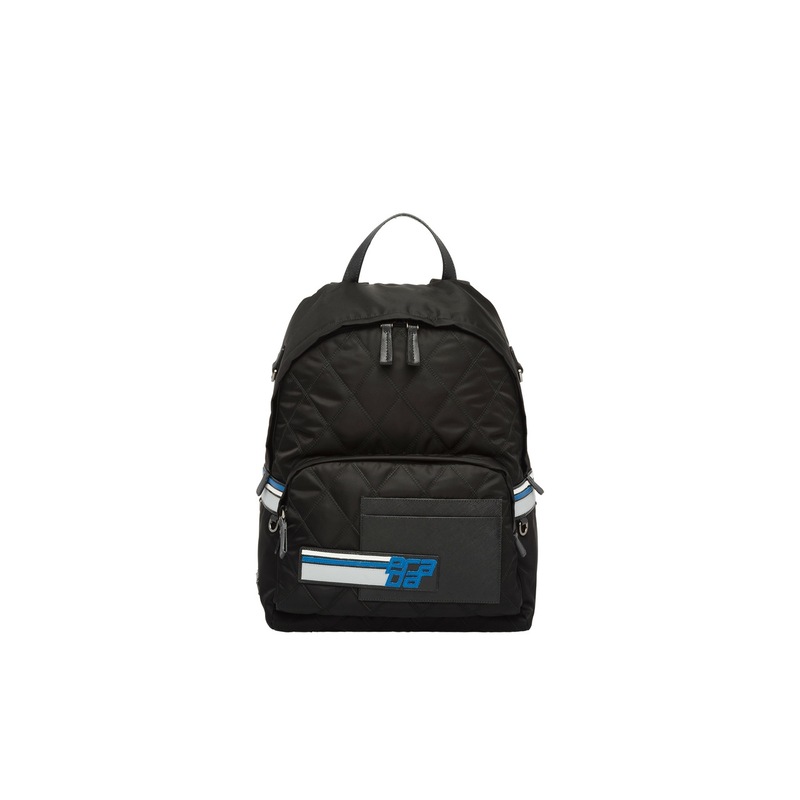 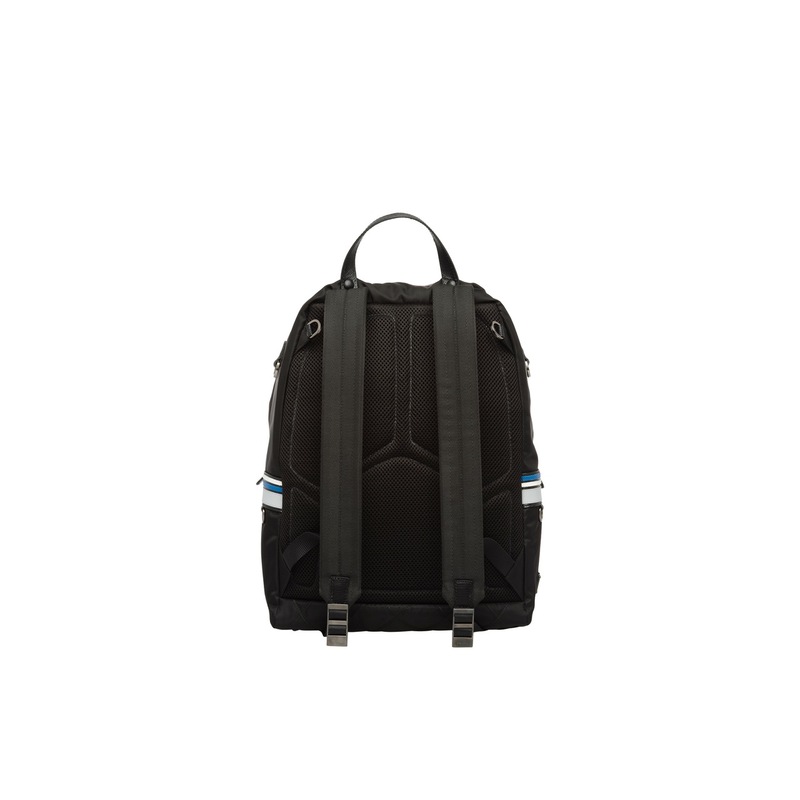 This backpack with single compartment and outside pocket features a combination of materials. 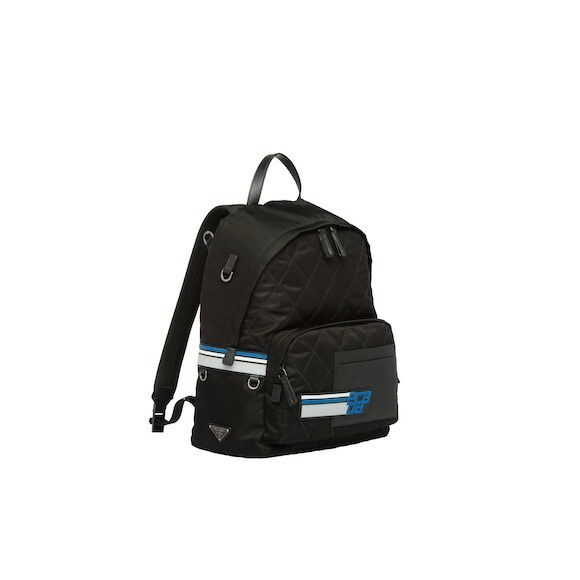 Made of technical fabric and nylon, it has refined Saffiano leather details. 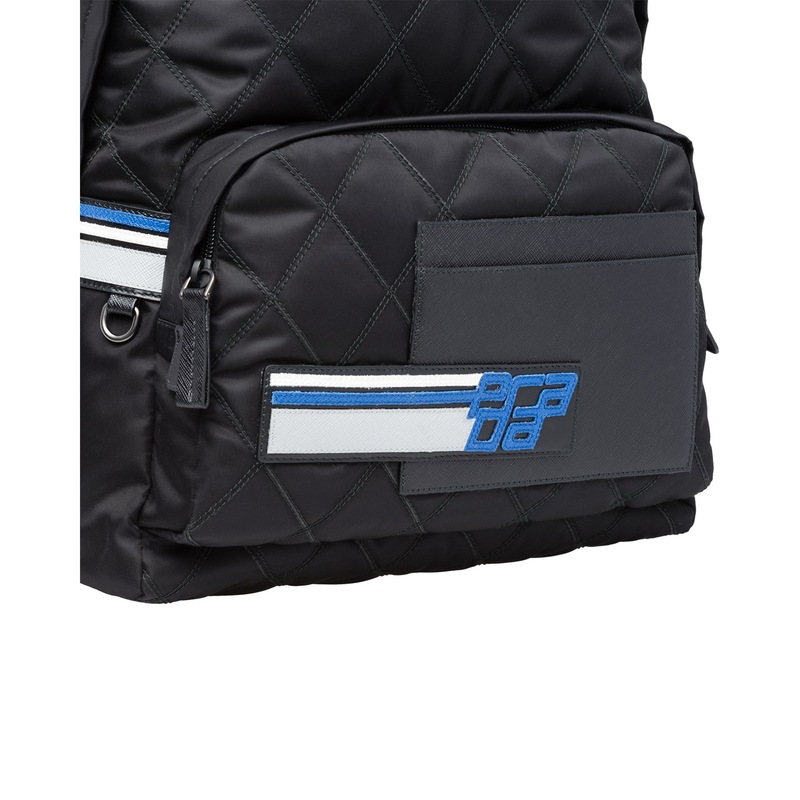 The logo patch on the front decorates the accessory.